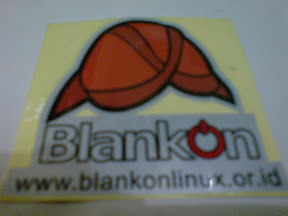 These BlankOn stickers was given by Mr. Rusmanto. Sorry if the pictures a bit blurry. 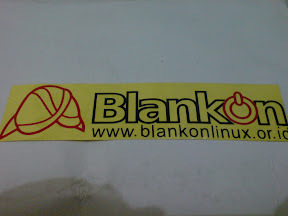 wah… mbois banget stikernya.. Pengen…!!!! mao mao mao! 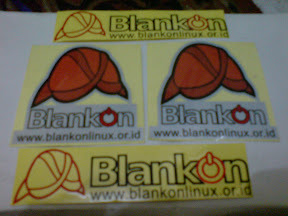 mao stikernya!